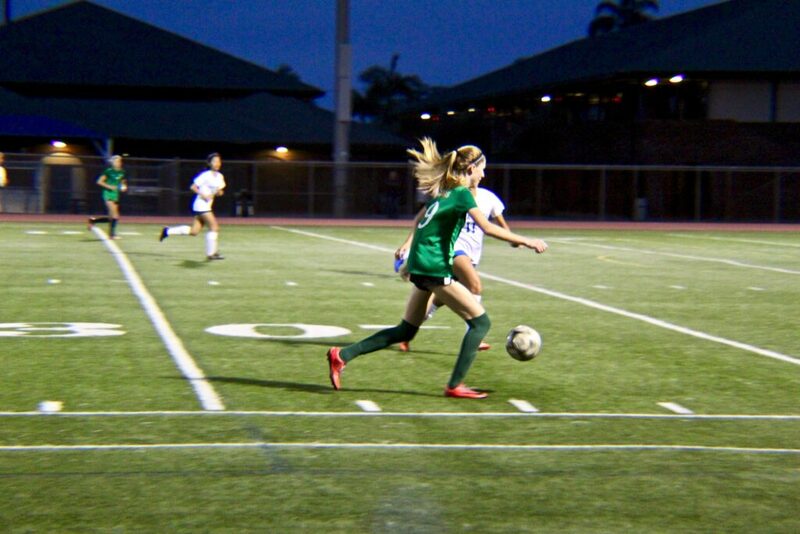 On Friday, the Islander Girls’ Varsity Soccer team hosted Mira Mesa High School for what proved to be a “classic defensive battle,” says Coach Mike Costaglio. Goalkeeper Shelby Linde had several key saves, as did her opponents’ goalkeeper. Senior Madison Shanks helped create dynamic plays with excellent running and handling of the ball. Junior Julia Williams covered midfield to prevent Mira Mesa from getting close to the goal, while sophomore Anna Valades kept the center back covered in case they did. Neither team was able to score, resulting in a 0-0 tie. The team’s holds a record of nine wins to two losses to five ties.